Beautiful picture, I love it! Not so sturdy, one even arrived with a broken frame but the seller was EXTREMELY helpful and responded/shipped a new one very quick. looks beautiful on the wall. really stunning. 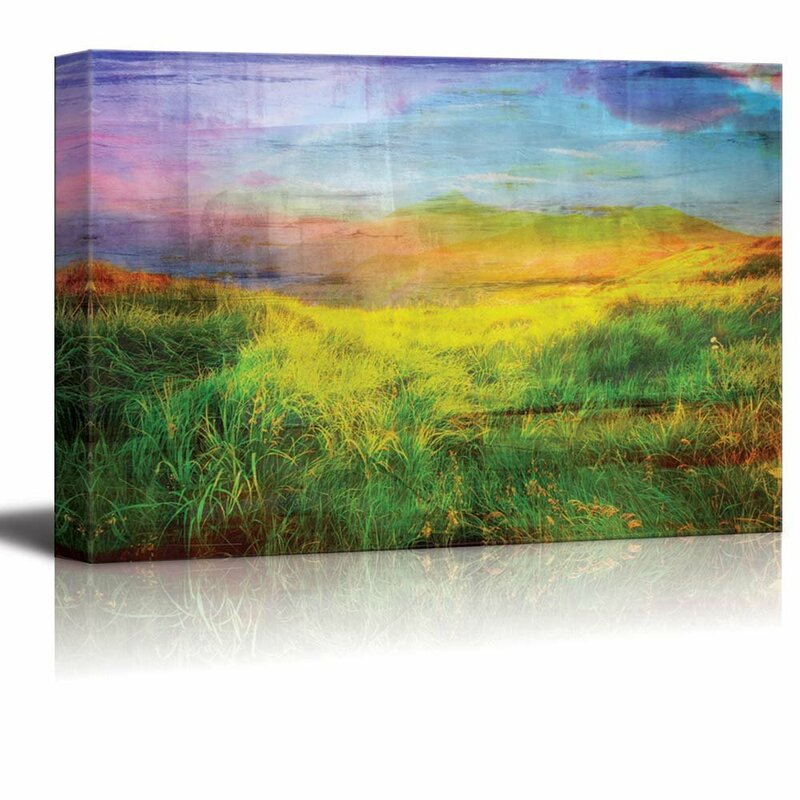 I'm using this canvas to help stage homes, I really liked the quality but wish it were a little more affordable. I purchase a lot of canvases in case the buyer wants to include them with the home or they get damaged being moved around. Came out great!!! Looks beautiful and doesnt look cheap. Glad I purchased this abstract art--great for staging a room prior to sale of house. The colors were great and the packaging was perfectly fine. Liked the price, too. Two hanging brackets were included, which made me very happy. Beautiful picture/colors. One of the corners isn’t 100% perfect (why I only gave it 4 stars), but you can’t beat the price. This is a great size and will add a nice pop of color for my daughter’s nursery.